Shop the 2018 DeMarini CF Zen at JustBats.com. Since 2011, DeMarini’s CF Series has produced some of the best composite bats in baseball. The 2018 CF Zen continues the tradition as a two piece composite with a very low swing weight. 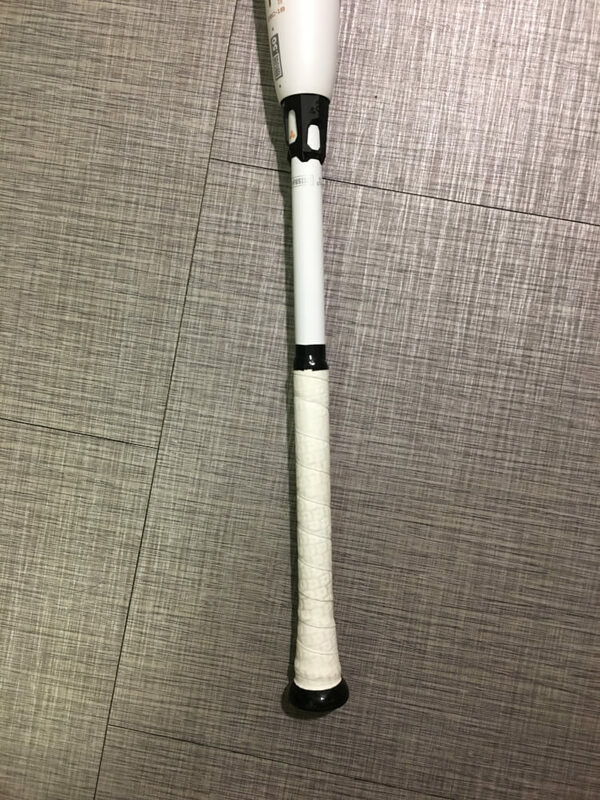 The 2018 version has some upgrades from the 2017 version, which includes Demarini’s new 3Fusion end cap and handle, which we will get into later. It’s in the highest price tier and is definitely worth considering if you have the budget to do so. The 2018 CF Zen has a sleek, modern look to it. 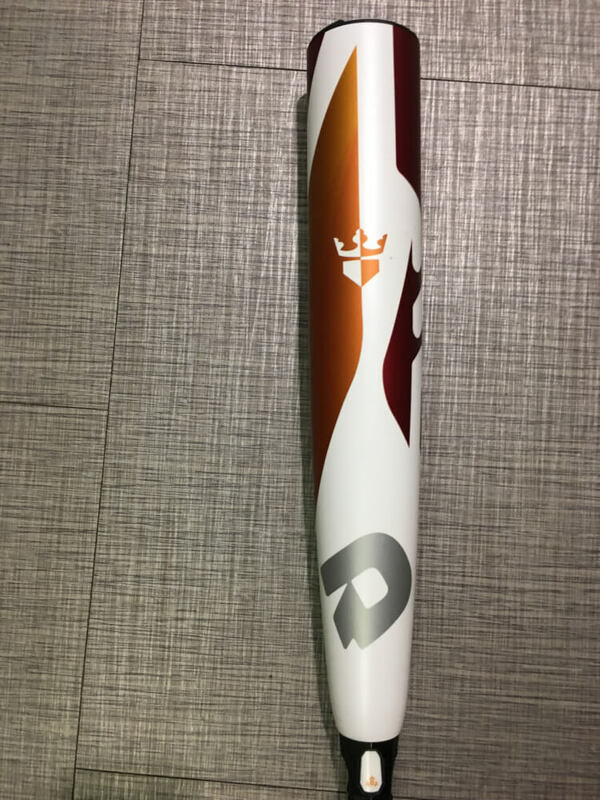 Demarini went with a matte barrel featuring a white base overlaid by their classic maroon and a modern bronze-orange. 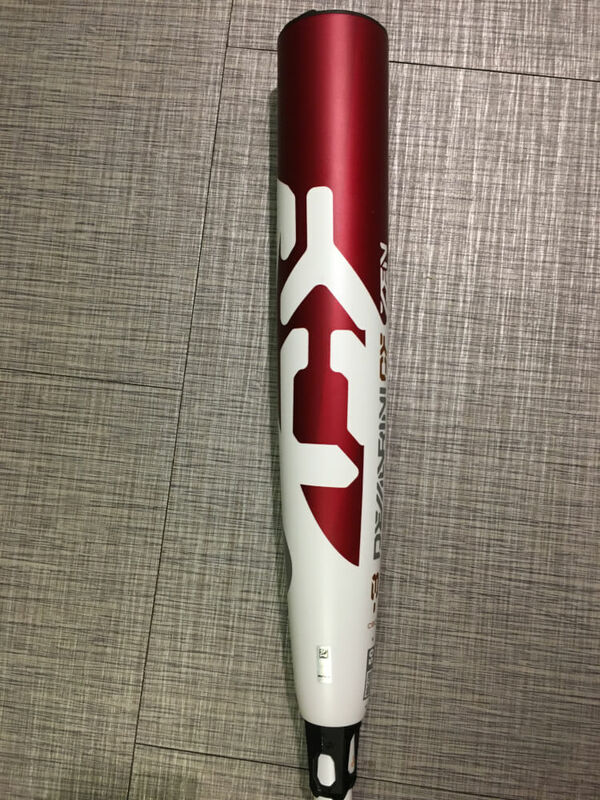 Demarini’s “King of the Plate” logo is included on the barrel. The handle is glossy white and is covered by a white grip. Does the International Space Station have a batting cage? The look of this bat feels like it would be the one to swing up there. 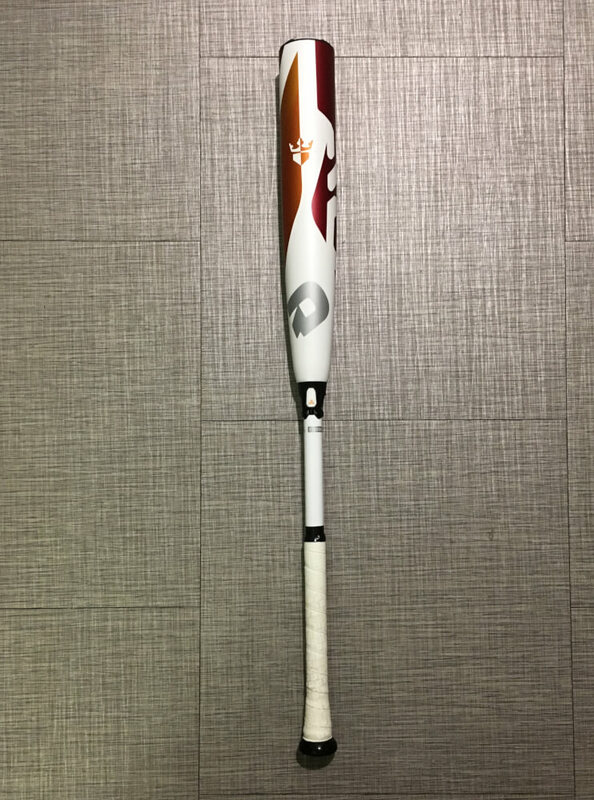 DeMarini also offers the CF Zen on their custom bat builder for $580 if you want to mix it up. This year’s grip on the DeMarini CF Zen BBCOR bat feels slightly thicker than years past, but is one of the best stock grips we’ve ever seen on a metal bat. The grip is very firm and feels similar to a rubber grip on a bike handle. 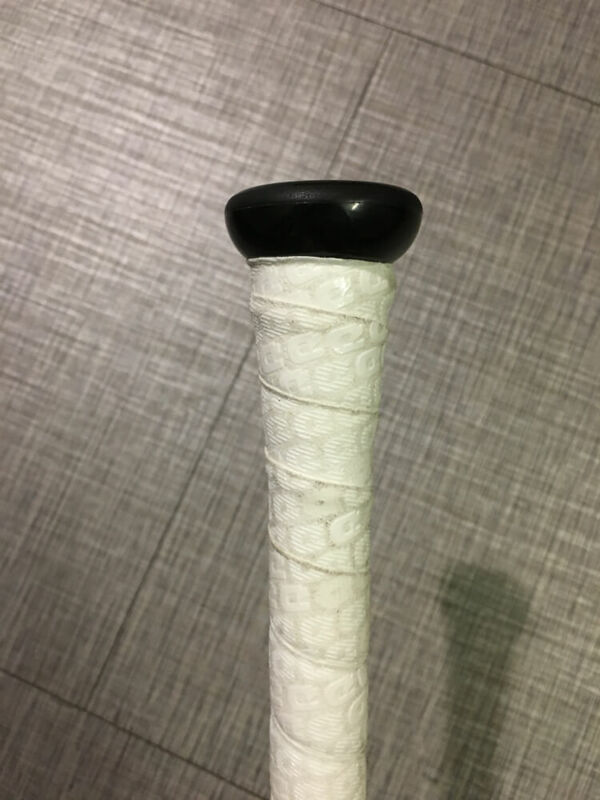 DeMarini has managed to provide a lot of friction on the grip without using the deep indentations that most companies use nowadays. The grip provides all sorts of grip points in the form of a pattern of indented and slightly raised ‘D’s’. The grip feels durable and should last for awhile. The grip has a nice taper up to the knob, which is DeMarini’s ergonomic RCK Knob that fits perfectly in a player’s hand. The CF Zen knob, an often over-looked aspect of metal bats, performs excellently. DeMarini nailed it, and combined with the great stock grip, the CF Zen is a bat that will feel incredible in your hands. The CF Zen is the balanced version of this year’s CF series of bats. This balanced weight distribution makes it the lightest swinging bat that DeMarini makes. It accomplishes this while still having one of the largest barrels in the BBCOR market, tapering off about 8 11/16″ from the endcap. The bat also features DeMarini’s new lightweight 3Fusion endcap that allows for a more balanced feel. 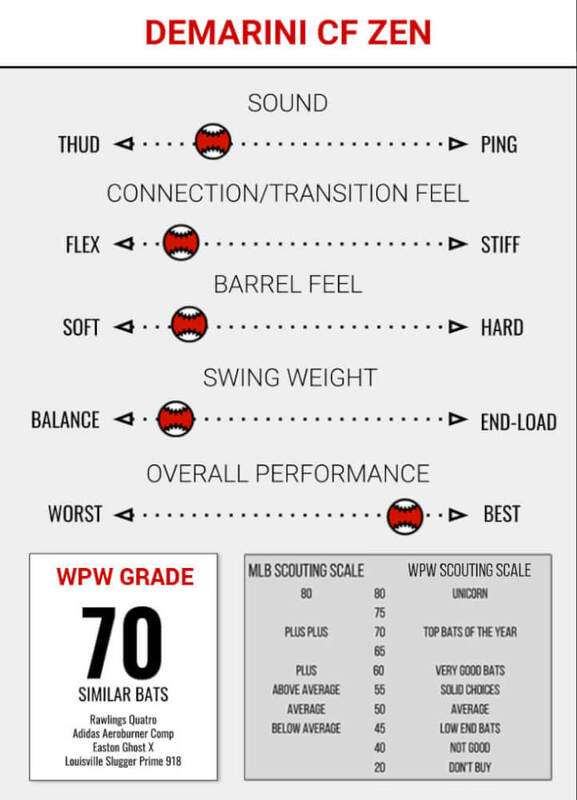 There wasn’t a noticeable difference in the swing weight when comparing the 2017 and 2018 models, mostly because it seems like they can’t really reduce it any more. If a light swing weight is important to you, take a look at the CF Zen. The CF Zen’s composite barrel definitely needs to be broken in. It felt a little thick right out of the wrapper, but that should loosen up quickly as the bat gets more use. 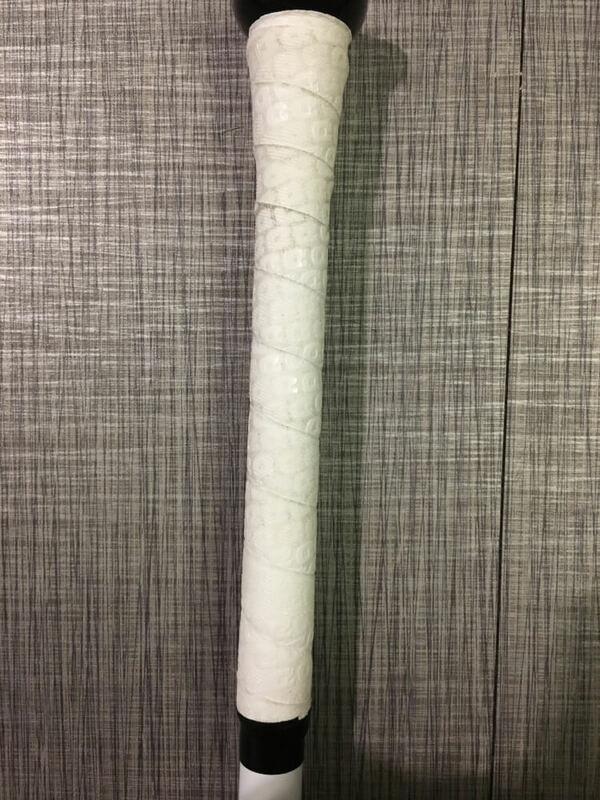 DeMarini’s Paraflex Composite is no joke and will allow this bat to have a huge sweet spot once broken in. Even fresh out of the wrapper, the bat had a lot of flex. This will also increase as the bat gets more use. DeMarini’s new 3Fusion handle redirects energy back into the barrel upon contact, which transfers energy into the ball and contains vibration in the barrel. Very little vibration reached my hands on mishits during testing, but it’s tough to tell how much of an upgrade this system is because the vibration in the CF series has always been low. Regardless of if it’s an upgrade or not, it gets the job done. 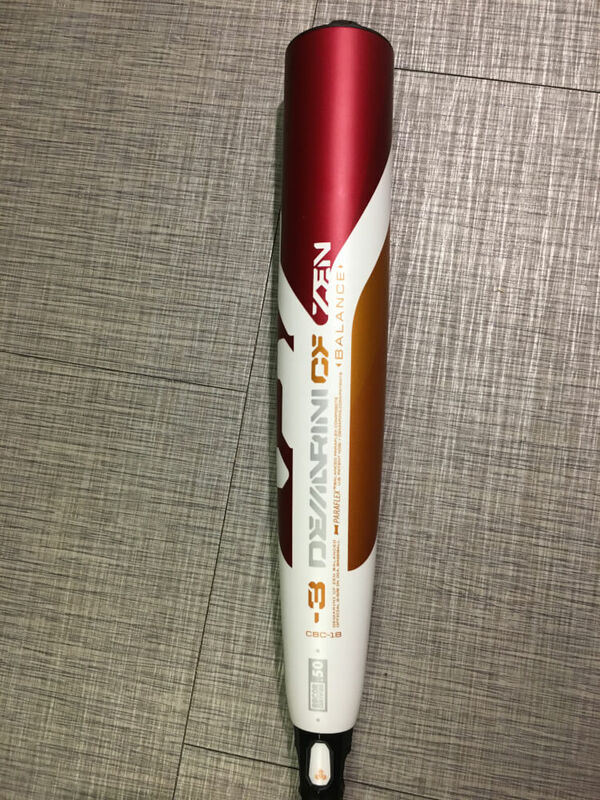 The 2018 CF Zen is an outstanding bat that is going to be very popular with a lot of hitters. There are a ton of options for two-piece composites with low swing weights, but the CF Zen should be very high on your list if you have the budget for it. Questions, comments, requests? E-mail [email protected] or comment here.